Need more information about booking Property 3873351 ? When you stay at Harmony Villa, you stay at a unique home within the rainforest in the center of the island. This allows you to be in a lush environment within minutes of many of Dominica's popular attractions. So if you want to get away from it all in a cool tropical environment then Harmony Villa is perfect for you. If you are a family or group of friends who want to have a home with your own conveniences and in the center of the island from where you can explore the best of Dominica's highlights, then Harmony Villa is good for you too. 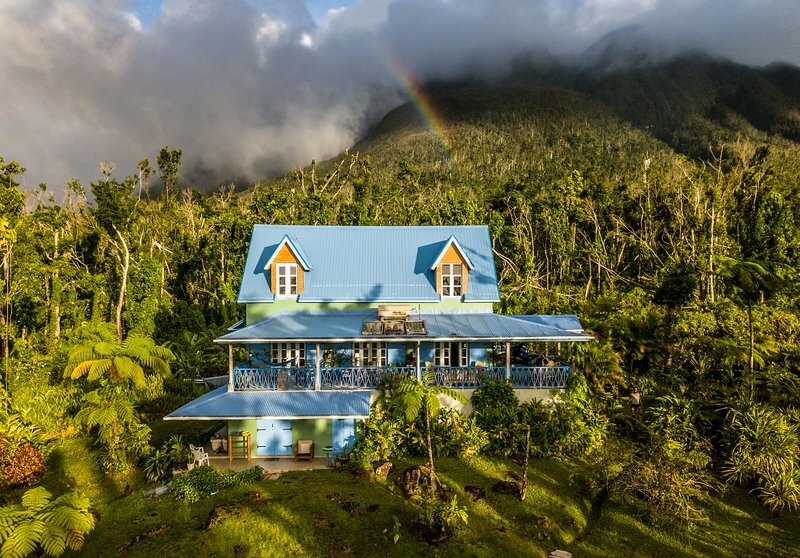 And if you want to be adventurous, active and do distant trail hiking and running in Dominica, then at 1700 feet above sea level, Harmony Villa is at the crossroads of Dominica and within walking distance from The Morne Trois Pitons Trail, segments 4 and 5 of the Waitukubuli National Trail and near Salton Falls not to mention literally 8 to 20 minutes drive from other hikes like Jaco Flats, Middleham Falls, Spanny's Falls and Emerald Pool, then for sure this place is perfectly situated for you. As a second home to a British & Dominican family, Harmony Villa can be rented in its entirety as a Vacation Home when guests have its exclusive use. Welcome drink & first dinner as well as first morning's breakfast is served on the main table on the large veranda and dinners are informal and delicious, but guests must give at least 24 hours notice for additional breakfasts and dinners. There is also the possibility of renting in our Forest Studio self contained apartment on the ground floor of the house, this is convenient for those who would rather not have a B&B stay and want a level of independence. The owners, having worked and lived in various parts of the world offer their home as a harmonious sanctuary with an expansive veranda, which wraps around two sides of the Villa overlooking most of the 2 acres of gardens and manicured rainforest. Here you can dine, relax, chat and just simply enjoy life. A fully furnished home with many beautiful antiques, heirlooms and an extensive Caribbean Art Collection imbues an inspiring atmosphere within the villa. The vernacular architecture of the villa incorporates effective use of the environment. The temperature is very comfortable and cooler than the coast so we do not require fans or air conditioning. The entire villa offers just over 3350 square feet of comfortable living spaces or you can find your place at one with nature anywhere within our gardens. Our ideal guests have been couples on holiday or on their Honeymoon, small Wedding Party guests, families, small groups of close friends, Hikers, Runners and Health enthusiasts, Musicians, Writers and other Artists seeking an inspiring space to reignite or nurture their creativity, Adventure seekers looking for the ideal central base from where to explore Dominica. Just anyone needing a real retreat to reconnect and re-energize their soul will really love Harmony Villa. The bedrooms are situated over 3 floors, the Master Suite and Green Room are on the Mezzanine level, the Blue Room is on the main floor where the Indoor dining Kitchen with bar and living room open onto the veranda. The 4th bedroom the Forest Room is on the lower level and ground floor to the garden. This room shares space with what was the owners' Art Studio and is now a living & dining space with a separate kitchenette. All of the rooms are en-suite and there is a half bathroom off the living room on the main floor as well. Our Team are always commended as being great hosts, and will take good care of you. Our housekeeper works daily and our Caretaker sleeps in a Ti Kai (creole for small house) on the property in the event that after-hours assistance is required. A little bit about your hosts, Dominican-born Carla comes from a family who has been involved in Tourism in Dominica for 44 years and has traveled widely calling on her many skills to keep her employed and busy. As well as being a trained Artist & Designer, Chef and Pilates & Personal Fitness Trainer, she is well suited to meet the requests and demands of her guests. Carla's British born husband, Mark has worked in development for over 35 years in countries across, Africa, the Caribbean and Asia, is a consummate host and loves to experiment with his cooking, guests have said he makes the meanest 'English Breakfast'. Their son Adam is the little helper, conversationalist and kid specialist for when guests come as families. Comments from guests who have stayed at Harmony Villa speak of the warmth of the welcome the goodness of the food and the feeling that they have just had a holiday spending some time at home with friends. Harmony Villa is a very nice place, which is as beautiful as her owner Carla. Staying there even for one night makes you feel like you are at home with old friends. Carla is a good cook and her ginger tea is great! I was really happy to meet her and her beauty and kindness was like a gift. La maison de Carla lui ressemble, elle est belle, harmonieuse et lumineuse. Une très belle rencontre et un endroit cosy et confortable pour se reposer après 6 heures de marche sur les chemins de la Dominique. What To Write? I was there with a partner whom I adore so 90% of my expectations were already met. Having said that I was very pleased with my whole experience while I was staying at Harmony Villa. Carla, a charming woman the owner, was there to meet and greet, so the transition to Island Living was painless. The home is large with three separate large bedrooms, 3½ baths, a huge Veranda, large kitchen, living area and more. The whole home is very tasteful decorated in a cool Island style. The home is extremely well appointed with enough Towels, plates, silver, glassware and more... The Home is centrally located, although Roseau (the capital) is only about 25 minutes away. 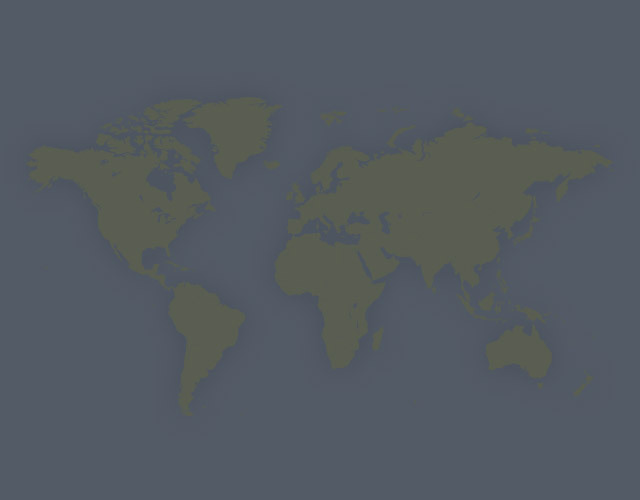 the location is perfect for Dominica exploring. I would recommend Harmony to everyone. We stayed at harmony Villa for one night and it was a lovely experience. The hospitality showered on us by the host Mrs Carla armour was beyond our expectations. The villa has an ecclectic feel with a large interesting art collection. The villa is situated in the lush forests of Dominica and has a large wrap around verandah allowing you to lie or sit and relax and admire the well landscaped grounds. definitely well worth a trip. An excellent holiday, all members of the party really enjoyed the villa and the island, very friendly staff, who were fantastic. You can get in touch with Carla (the owner) through the contact form on this page. Send Carla (the owner) an email through the contact form on this page. Alternatively, if there’s a phone number on this page, you can call them. How do I contact Carla (the owner)? If you’ve already booked, go to Manage your booking to view Carla the owner's contact details or send them a message. Or send Carla (the owner) an inquiry through the Contact the owner/manager form if you’d like a quote or more info first. When you pay online through the Ready to book? form, a booking request is sent to Carla (the owner). You’ll find out within 24 hours whether they’ve accepted - no money will leave your account before then. You can also request a quote from Carla (the owner) through the contact form. The owner will email you the total cost for your dates and a link to book and pay online. Use the Ready to book? form to pay provisionally online. You can pay by credit/debit card or PayPal. Carla (the owner) will have 24 hours to accept the booking and no money will leave your account before then. Why can't I call Carla (the owner) before booking? You’ll need to contact Carla (the owner) to do this. Send them a message in Manage your booking or through the contact form on this page. You can request to change the dates or number of people on your booking via the Manage your booking page. To change your dates use the Edit booking button. If you need to change the number of guests staying then send Carla (the owner) a message. If Carla (the owner) agrees, they’ll send you a revised quote outlining the changes. You can review and accept/decline this from the Manage your booking page. You’ll have 48 hours to take action before the revised quote expires.